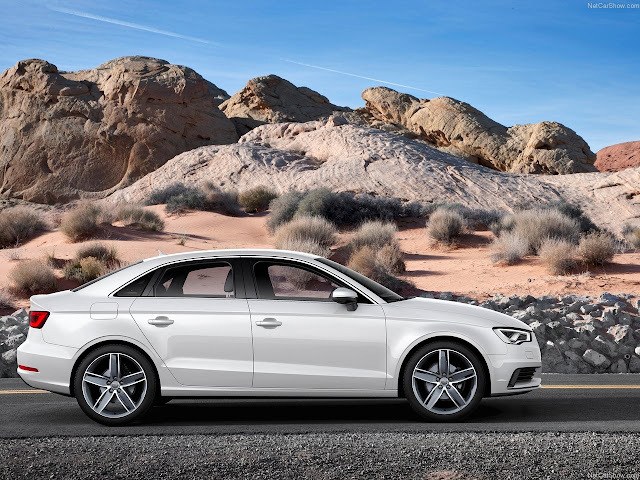 Audi A3 sedan has been revealed at New York Auto Show and is expected to make its entry into the Indian market some where in 2014. The Audi A3 sedan will again be unveiled at Shanghai Auto Show in April 2013. The new A3 Sedan is compact, but not all that small. At nearly 4.5m long, with a 2.63m wheelbase, and a width of 1.8m, the sedan is 11mm wider than the Sportback A3. The sedan boasts of 425 Liters of Boot space as well. 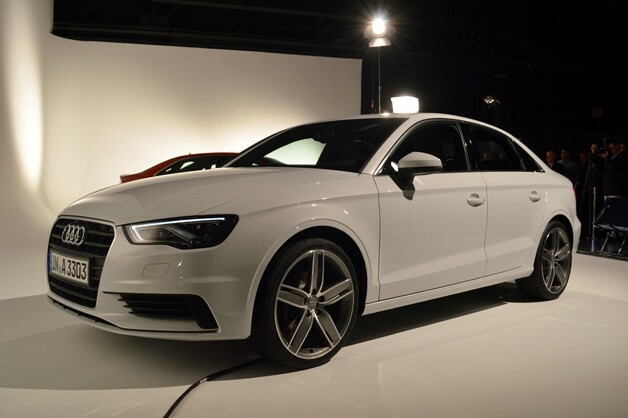 The A3 Sedan will be available with a 2.0 TDI engine producing 150bhp of power and 320Nm of torque. Capable of an 8.7 second sprint from 0-100km/h, this engine promises a wallet friendly 4.1l/100km (about 25km/l). The base petrol is a 1.4 TFSI which produces 140bhp of power and 250Nm of torque. It will do the sprint in 8.4 seconds and will return 4.7l/100km (a little more than 20km/l). Inside, the A3 now offers a driver information display that uses 3D graphics, a revised MMI system (still operable via a column-mounted knob or steering wheel controls), the choice of three different steering wheels (depending on function), optional sport seating and a whole lot more. Interior colorways fall into the black, brown, gray or beige variety, and two-tone packages are also in the mix. Cloth seats, two kinds of leather and Alacantara all find themselves among the options, as well. The price of Audi A3 sedan is expected to start from INR 17.5 Lac for base petrol version. More Images could be viewed here.